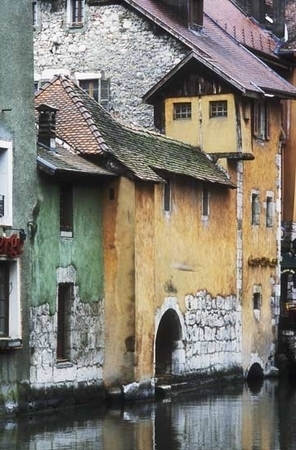 The charming lakeside Alpen town of Annecy is the French answer to Venice. The oldest section, dating back to the 12th century, lies beneath the hilltop castle and is nestled along the branches of the Canal du Thiou. This stately pair along the canal look like gingerbread houses, replete with icing.